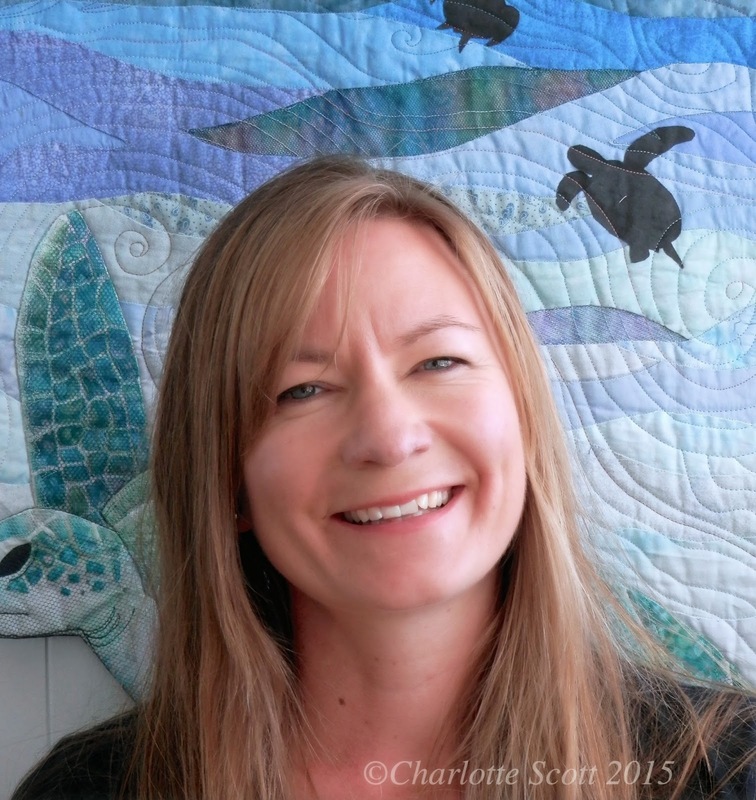 Charlotte Scott is a Northland based textile artist. 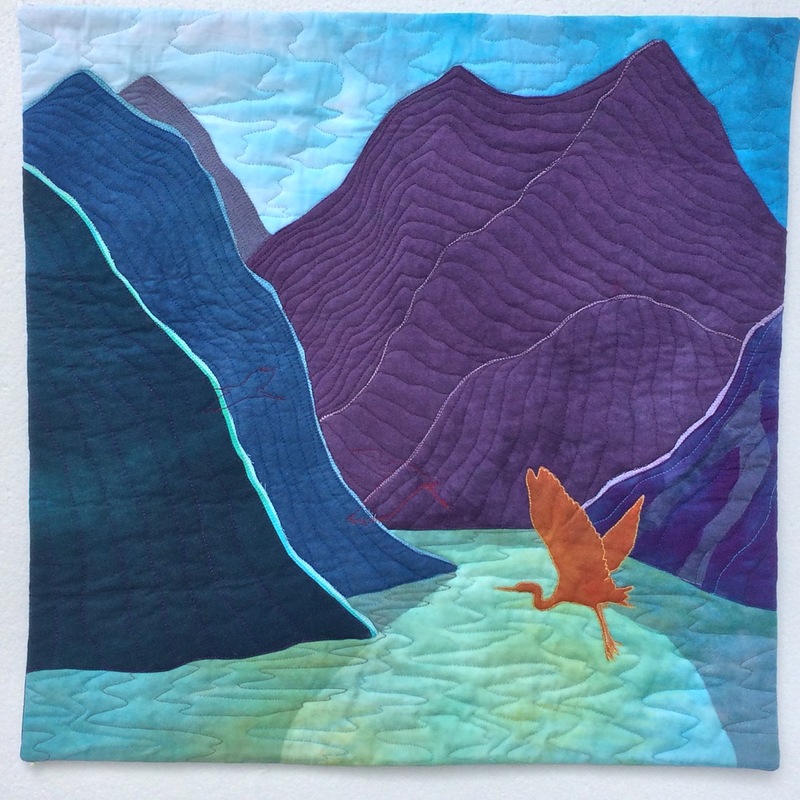 Her work depicts narratives of the natural world and her medium is cloth, needle and thread. Charlotte describes the close connections she feels with her female ancestors when she tells stories with her stitches, “There is something evocative about cloth. We are wrapped in it at birth and then again at death. Every culture uses cloth or woven material of some kind, and every culture has strong traditions surrounding the colour, the patterns, the substrate. And it’s the women who are most involved in these traditions – my needle connects me to hundreds and thousands of other women who have observed our world and placed stitches in fabric to mark what they saw.” Charlotte colours her own cloth, either with dye or paint, then cuts, layers and quilts her work, using the texture of the quilting stitches as an integral element of the final design. My name is Charlotte Scott, sometimes known as Ms Lottie. I'm a New Zealander, born and bred, and I currently live with my family (husband and two kids and assorted pets) in a small port town called Opua. We also spent three years living on a boat, and before that we had a tiny farm. I work part-time as a midwife when I'm not creating my art or caring for my family. I am a textile artist. I make both traditional quilts AND textile art. My textile art is usually based around the quilt format with plenty of reference to traditional quilting skills. I have a passion for dyeing my own fabrics, it's the unique colours I can achieve that I get excited about. I love to use silk organza for it's depth and layering capabilities, but traditional cotton features heavily plus some linen and habotai silk for good measure. My Bernina 440 sewing machine is my best friend so most of my construction and quilting is done by machine. My art quilts reference the natural world around me. 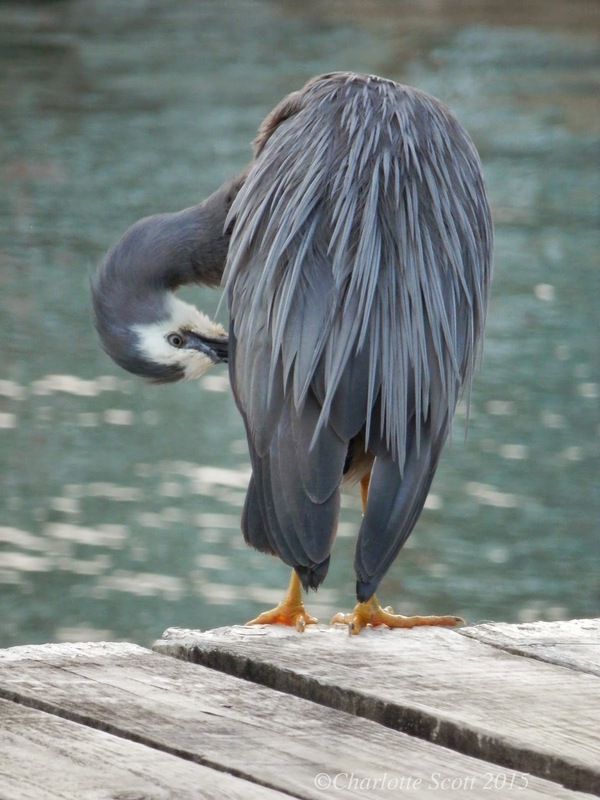 Sea, sky and earth are what move me and I am heavily influenced by birds. I didn't even realise that birds feature in almost all my quilts until a mentor pointed it out to me. This prompted me to give it some thought and here's what I came up with. Birds are New Zealand's animals. We have two species of bat as our only land mammals, we have some reptiles - geckos, frogs and a special lizard called a Tuatara - and then we have birds. Unique, vibrant, endangered, beautiful birds. They are familiar, we see them frequently. I can look out the window and always see a couple of different species. Yet they also have secrets - birds that are only a quick movement in a bush seen from the corner of your eye, birds that only come out at night and might be heard but never seen. And of course, birds can fly! How evocative is that? My quilts have been exhibited and published in New Zealand and around the world. Most recently, my quilt 'Fjords' has been travelling the world as part of the international quilt challenge called 'Wonders of the World'. I design patterns for quilts, wallhangings and quilted items and have had work published in Down Under Quilts, Embellish and Homespun magazines. I'm a freelance writer and you can find my articles about quilting, art and design on Aotearoa Quilters website and here on my blog. Teaching also makes up part of my quilting life. I get immense satisfaction in sparking enthusiasm and creativity in people. You can visit my 'learn with me' page to see more about the classes I teach. You can also tune in to my podcast where I share news views and interviews with quilters, textile artists and industry professionals. if you have any questions would like to know more about something.